The slower-moving summer period had top TV networks’ social media metrics falling nearly 20% in July versus June, per Shareablee. The social media researcher said ESPN maintained the top overall rating with 124 million actions, along with 7.1 million shares by users. Actions are defined as total reactions to original posts, comments, share, retweets and likes. Research came from 571 million social actions across Facebook, Twitter and Instagram for the month. Fox News was second, with 50 million actions and 8 million shares. CNN was third with 37 million actions and 7.1 million shares. 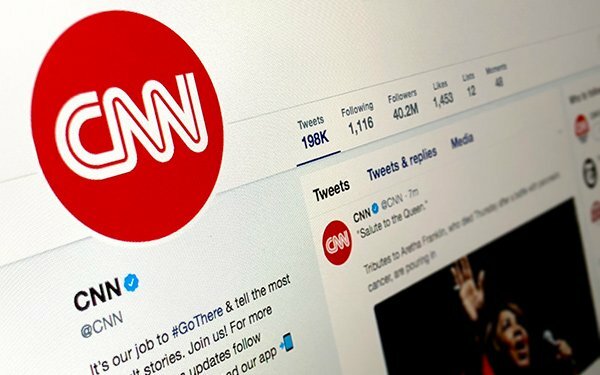 CNN was the only top 10 social media TV network that grew over June’s social media actions, rising 2.4%. Telemundo was next with 35 million actions/2.4 million shares. The network aired the FIFA World Cup in July. The E! network came in at 34.4 million/288,000 shares. ABC posted the best results among English-speaking broadcast networks with 34 million actions/6.5 million shares. ABC also posted the most video views of any TV network in the month at 666.2 million. NBC came in at 31.8 million actions/5.2 million shares and 377.1 million video views. Completing the top 10 was Fox Sports, with 20.6 million actions/2.3 million share. (It also aired FIFA World Cup programming.). Netflix had 19.4 million actions/1.6 million shares. Univision, 16.1 million actions/476,000 shares. The biggest entertainment TV shows for the month included Telemundo’s “Senos Si Hay Paraiso” (11.6 million actions) and NBC’s “America's Got Talent” (3.3 million actions).